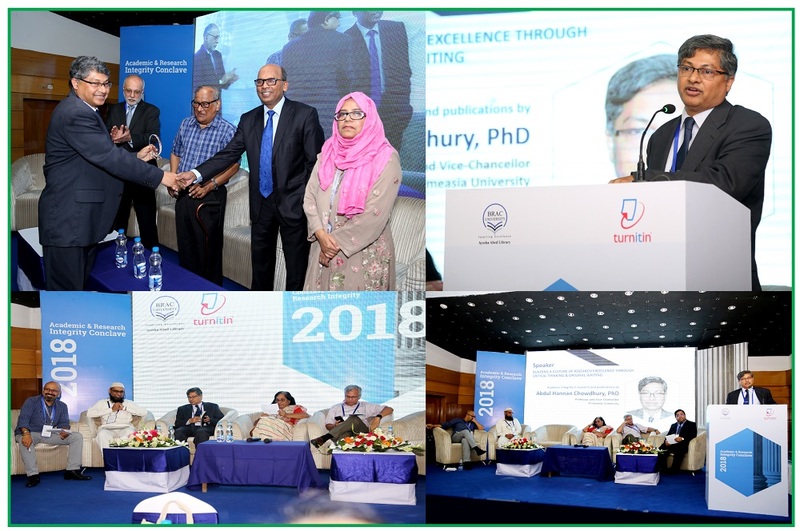 Prof. Dr. Abdul Hannan Chowdhury, Vice Chancellor of Primeasia University attended in the Conclave on Academic & Research Integrity 2018 on October 11, 2018 at BRAC University. He was a Panelist on the session titled “Building a Culture of Research Excellence through Critical Thinking & Original Writing” and spoke on Academic Integrity in Research and Publications. Dr. Akbar Ali Khan, Former Advisor to the Caretaker Government and Professor of BRAC University was the Chief Guest while the Acting Vice Chancellor of BRAC University Mr. S. N. Kairy was the Special Guest in the occasion. The program was jointly organized by BRAC University and Turnitindia Private Ltd. Mr. Ashim Sachdeva, Regional Director, South Asia Turnitindia Education Pvt. Ltd. was the Guest Speaker of the inauguration ceremony.